If you are thinking about or will be climbing Mount Kilimanjaro then add these two items to your tools to climb and conquer Mount Kilimanjaro! "Thanks for your map, Aaron, which I’ve been studying over the weekend and enjoyed very much. The contoured base map is beautiful and I like the way I can superimpose my own tracks on top – really great. I’m impressed with the map, and will be mentioning it in the next edition of the book, as well as online." 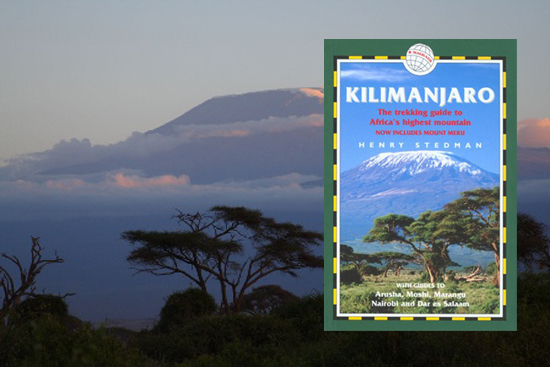 Henry Stedman is the author of Kilimanjaro: A Trekking Guide to Africa's Highest Mountain and the creator of ClimbMountKilimanjaro.com. Coming from an expert Kilimanjaro guide, we think that kind of praise for our map says a lot! The Mount Kilimanjaro GPS topographic map of Kilimanjaro available for your Garmin GPS device offers you greatly improved detail for your climb. The contours are spaced 20 meters apart for the entire mountain, allowing you to view the terrain while making your way to the summit. In addition to the contours of the mountain, other geographic features are included in the map. Park boundaries for Kilimanjaro and Urusha National Parks, hiking routes to the summit, national and local roads, rivers and streams, lakes and wetlands, airports, campsites, and many more. This map is continually being upgraded to provide the best GPS map for the area. Added auto-routing to a new Routable/Navigable version of the map. Improved road and trail geometry throughout the map. Added & Improved POI's around the mountain and in Moshi. Added additional POI's on mountains. Added additional local streets in Moshi. Improved contours around the summit of Mount Kilimanjaro. Added Moshi golf course polygon. Added Moshi local roads w/ street names. Added additional points of interest. Added urban area around Moshi. Added International border between Tanzania and Kenya. Added more roads to surrounding area. Changed road details and levels. Added some lakes to map. Added points of interest around mountain. Added campsites and other locations on mountain. Changed contour interval from 10m to 20m to decrease file size. Changed map from transparent to standard GPS map. Created original transparent contour map without other details at 10m intervals.